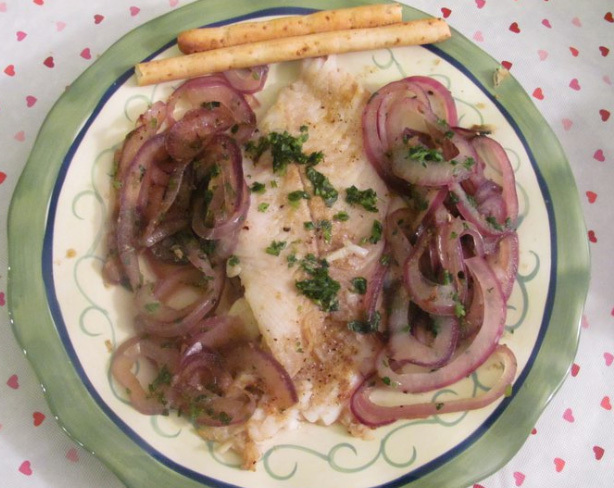 Season the orange roughy with salt, pepper, garlic, onion powder and fresh chopped Taragon. Slice 1/3 of a red onion. 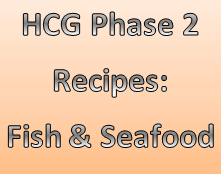 Grilled the orange roughy on the stove with 1 Tablespoon of HCG Diet-safe broth. Grill chopped onions in the same pan. Add 1 more Tablespoon of broth to sauté the onions. Sprinkled a bit more fresh tarragon and served it with a grissini breadstick. Preheat the oven to 400 degrees. Then snap off the woody ends of asparagus and discard. Tear off a large sheet of non-stick aluminum foil. In the center of this sheet, place asparagus spears and sprinkle with salt/pepper. Place white fish on top of asparagus. In small bowl, combine lemon juice and oregano, and pour over fish. Fold up edges and completely seal packet on all sides. Bake 10-20 minutes or until fish flakes. Serve.